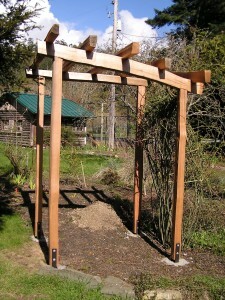 Here on Pender Island, BC we have some lovely gardens. 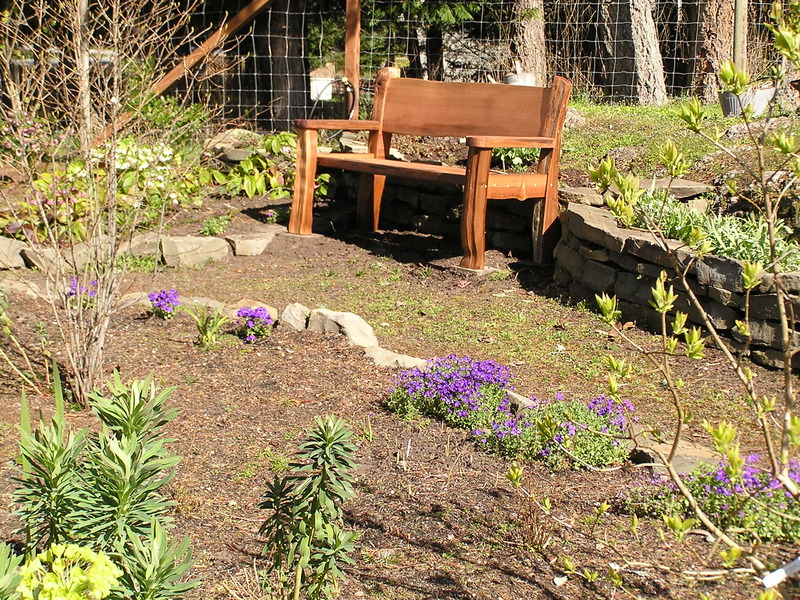 This project was aimed at enhancing a nice garden with a bench (for rest and relaxation), and two rose arbours (one small and one big). 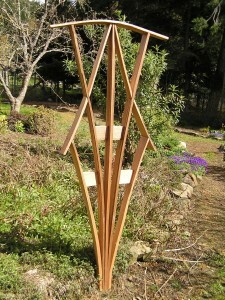 Everything is made from reclaimed red cedar driftwood which I salvage myself. 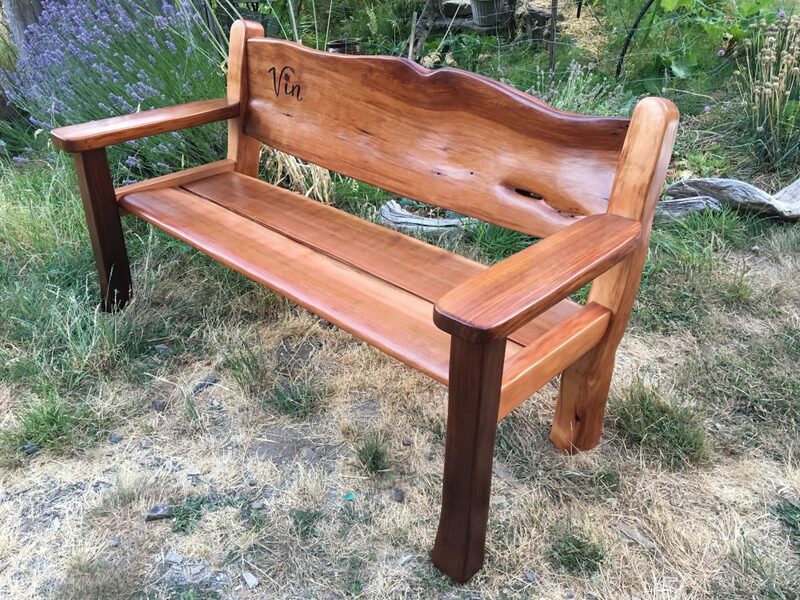 The bench is about 5′ long and uses a combination of mortise and tenon joinery and some long screws which are plugged (for some of the pieces that I couldn’t make work with tenons). The cedar is split by hand into the shapes I can use, and fit together after laying out the joinery on the floor. 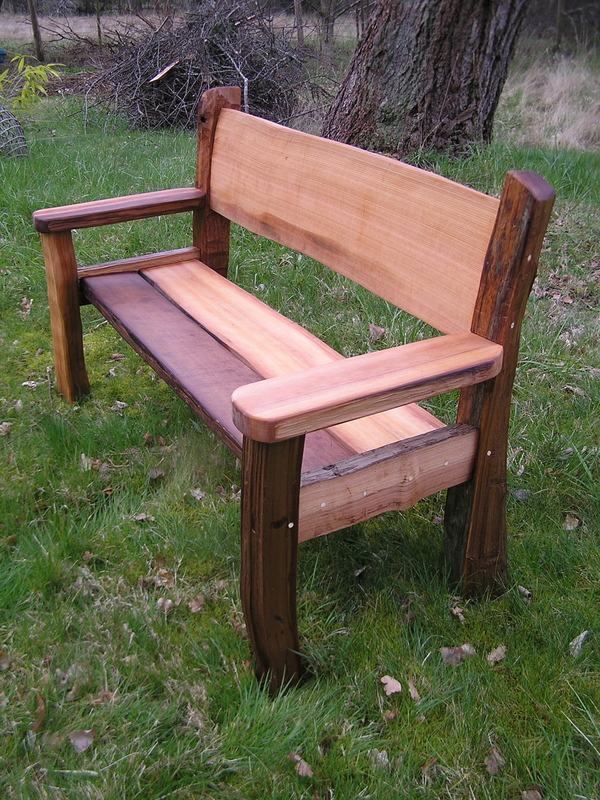 I try to keep a natural feel to my furniture by keeping legs wider at the base, leaving the natural colours and marks from splitting or from being on the beach. 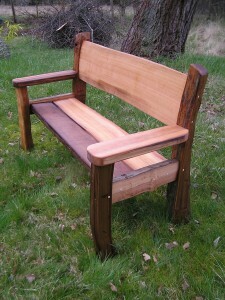 This bench has some wonderful colours in the cedar, from light to dark tones. Notice also the knot hole in the left rear post, you can put your finger right through it! The bench is very comfortable as the back piece is slightly curved and leans back gently.